Drew Goddard wrote on some of my favorite TV shows of all time. Lost, Alias, Buffy the Vampire Slayer, Angel, and he wrote the film Cloverfield, which I loved. So when I heard he was taking the director’s chair for the first time on a horror film co-written and produced by Joss Whedon, I was on board from the beginning. The story is a typical one we have heard many times before. A group of five young people go on a weekend break to a creepy cabin the woods (hence the clever title). But once there they discover a basement full of strange artifacts, all seemingly unrelated except for the fact that they are all bizarre. 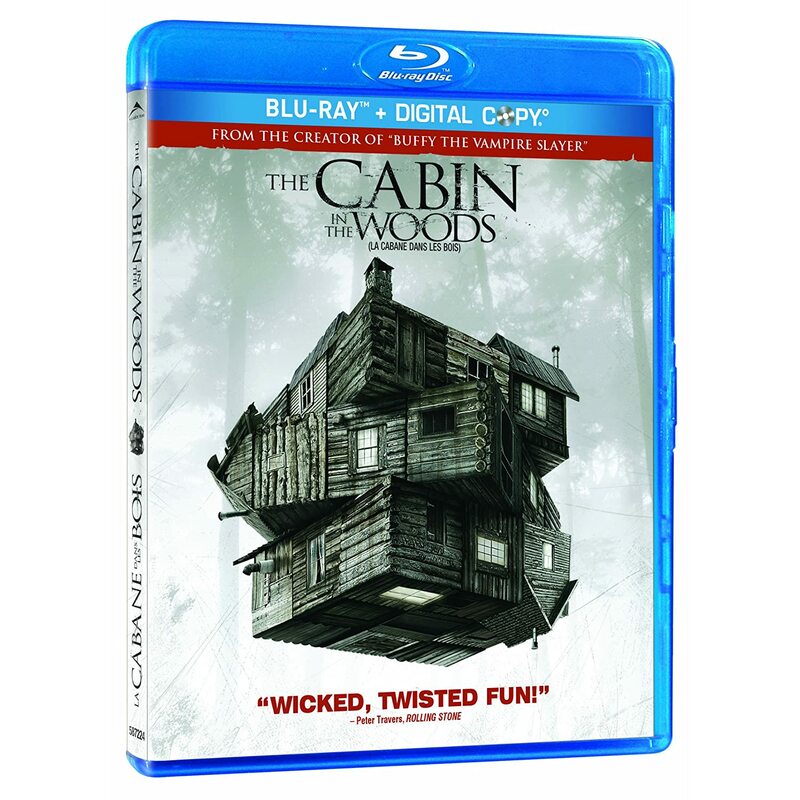 Soon unexplained occurrences begin to happen and the five friends must unravel the secret of the cabin in the woods. The point of Cabin in the Woods lies specifically in how predictable the synopsis is. Goddard and Whedon take the familiar plot and give it a very ingenious and entertaining backstory. Without giving away too much of the plot, an organization is in control of the cabin and its surrounding, and may be in control of much more than that. The friends must face some of their greatest fears and some of the most well-known horror film conventions ever. Although I didn’t find Cabin quite as groundbreaking as it was being touted to be, it was still a clever, funny and well devised film that was a heck of a lot of fun to watch. But in the end, I couldn’t help thinking it felt like a much larger budget Buffy or Angel episode. That’s not necessarily a bad thing, in fact, it is one of the things I loved about it, but people who are not familiar with the stylings of Buffy and Angel may not appreciate the style of storytelling as much as fans do. The cast are all capable and seen to be having fun with it, with Richard Jenkins and Bradley Whitford particularly having a blast as the men behind the curtains. A really fun ride, a movie best experienced with a room full of friends, Cabin in the Woods is a solid and entertaining thrill ride with some great twists to the horror genre and enough laughs to keep you going. The Blu-ray from Alliance is very nice. Really solid picture, great clarity and detail throughout, even in the many dark scenes, nice saturated colors and a full, immersive soundtrack make Cabin in the Woods a little gem to start off the fall Blu-ray season. Highly recommended. Agreed. I wanted to LOVE it, and I ended up LIKING it. A cool idea, great writing and well done, but it didn’t blow my mind.